I named this company after my Uncle Walter and my father, Ray who both are no longer with us ( Everyone always asks, so if you were wondering, Walter is listed first because the name flows better and, btw, my dad would totally agree). I think of them as little kids and what it was like for them in the times when they grew up. When I was a tyke, they used to tell me stories of their childhood escapades. One of them that I love is the story of how one fun idea led to a bunch of other adventures. It started when they went down to the San Francisco Bay, and over the course of some hard working days, gathered big piles of drift wood and scraps of rope and methodically built a raft. They went out on the waters with the grand plan to navigate their vessel from Berkeley to San Francisco. 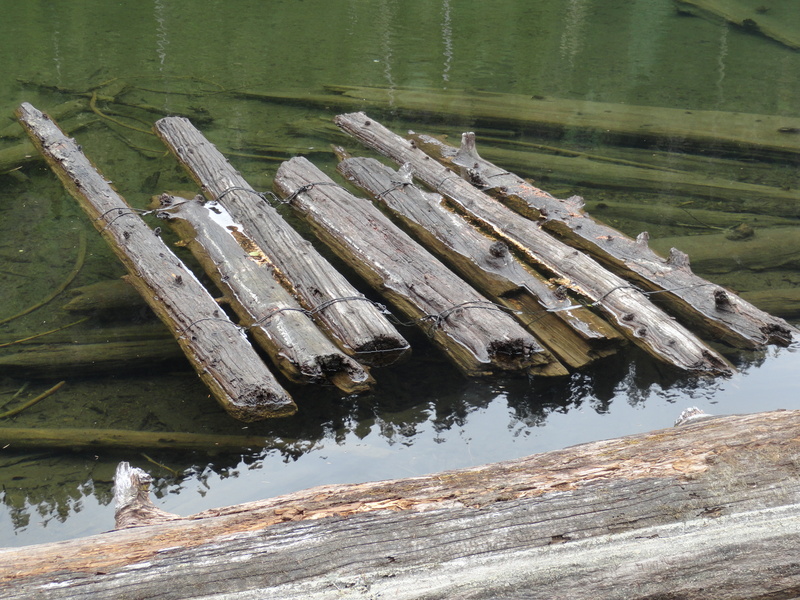 They got, I do not know how far out, when the raft fell apart and they had to swim back to shore. My dad said he was pretty sure there were sharks coming towards them as they were swimming with every kid bone in their body to get to shallower waters. When they hit the banks, they were met by a group of angry, snarling wharf rats as they scrambled over the rocks. They went home, washed their clothes in the backyard with the hose, dried them in the trees behind the shed, and then snuck into the house, all so my Grandma wouldn’t catch on to what they did. They built other rafts after that and realized they didn’t need to get all the way to the City. Instead, they ended up having a blast being pirates in the coves of the Berkeley shores. They fought sea-monsters in their minds and battled fierce rat armies on the shores. That story excited me and scared me and made me think they were the coolest guys ever. And that was only one of their stories! They made me grow up wanting to create adventure in my everyday life. I miss them. And so, today, as I reflect back on the past, think sweetly of the present and am hopeful for the future, I am truly grateful for where I come from, where I am and where I am headed. Even with rough waters and occasional snarls, life is awesome. I live my life with adventure in my sights, a dream in my heart and, the ole fun killer, fear has to just sit it out. I love my family, my friends, my W+R core magic makers, my customers and my new fledgling company. With everyone’s help, i have had the opportunity to build Walter + Ray. It exists on a platform of magical childhood naivete’, wonder and my deeply instilled belief that all things are possible if you work hard and you work smart. I wanted to be sure I shared this. Without family and where we come from, we would not exist.